Personalities, of men or women, can be described best as onions, layers upon layers and core is not easy to find. People meet people; fall in love, make relationships, break relationships and fall into love again then another breakup. If you haven’t found a quality woman yet and after so many experiences have started believing that there are no good women left then there are a few traits that you need to look for in your hunt for the right woman. 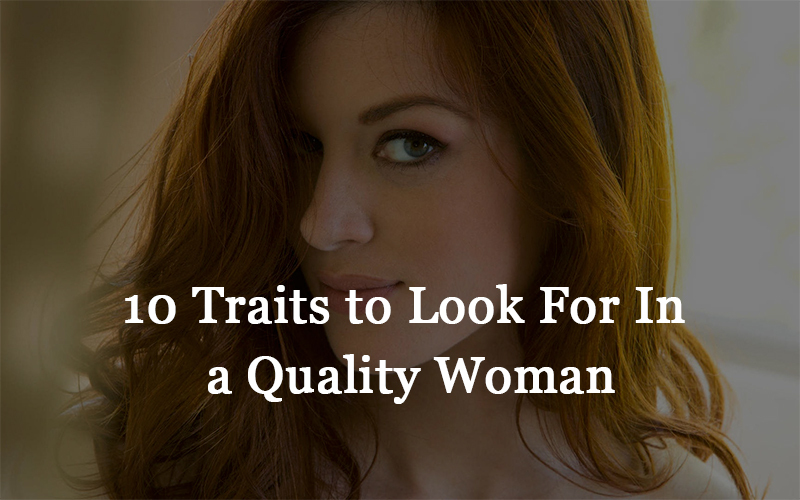 Keep up with this article as you will get a useful and insightful content regarding quality women and their personality traits. Never let go of a woman who takes pride in what she does and never takes a step back from her responsibilities. She is hard-working, confident and will never blame others for her failures. A genuine woman at heart never hesitates for once about her appearance, financial status and the way she engages with others. She knows her strength and weaknesses and own that before anyone else would point out. She never fakes and will always try to stay in her own skin. Though, men are bread winners of the family but quality women will not be hesitant at times when their partner needs them financially or emotionally. They can easily manage independently and know the meaning of an equal partner in today’s era where both partners make efforts to sustain a family. For some woman it’s natural that they give more than what they are getting from their family or society. These women put the needs of others before fulfilling their own. They express gratitude more and are less self-centered. Childish games and unnecessary conflicts are not part of her personality. She is mature enough to handle relationships without drama and theatrics. She will not make up situations to escalate jealousy in order to attract attention. They are well-aware of the sensitivity of their relationship. Without even a speck of doubt, she will give all her support to you. Her encouragement will become your biggest support to achieve the best of your potential. With refined principles and holding up with rationale, she analyses inevitabilities of the occasion. Her maturity reflects upon her opinions which separate her from the lot. Her poised and logical views help her to offer amicable solution. Quality women behold strong opinions and never afraid to voice out when needed. Her undivided attention to listening to others allows her to observe prudently and express her knowledge articulately. Her impressive demeanor will leave your family and friends in awe and they will respect her the way you do. She possesses such qualities, honesty, smartness, open-mindedness and commitment, that everyone loves her. 10. Have you found stated qualities in your woman? If your woman has any of the traits mentioned above then you are the luckiest person. You must take pride that such woman is willing to share her life with you.